The show may be over, but that hasn't stopped LOST fans from deciphering the series' most pertinent questions. Case in point: mapping out the island. 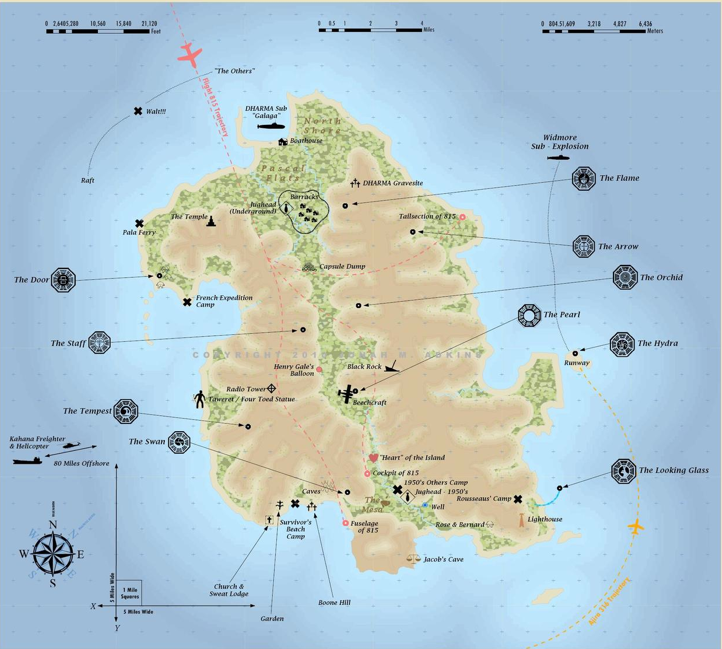 Thanks to professional cartographer Jonah M. Adkins, Losties can now cross mapping out the island off their bucket list. For the past four years, Adkins has been working on the map and finally finalized it following the series finale, "The End." Clearly a job suited for a professional, Adkins explains that he started with an image of Rousseau's map from a few seasons back and used dialogue to fill in the geographic details. Seems like a major side project for this government employee! What do you think of the latest LOST development?